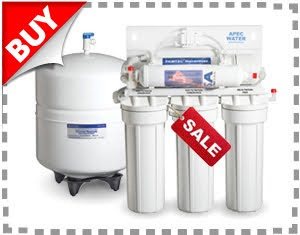 —> $86 off on all of our famous home Ultra Reverse Osmosis® systems. —> Plus 2 extra gift items -- $80 value. 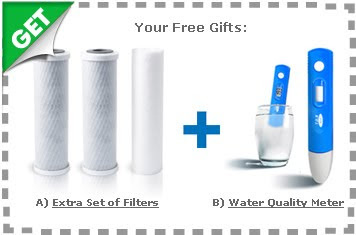 A) Extra Set of Filters —Best Value! With this extra set of 3* APEC original pre-filters (1 High Capacity Sediment, 2 Extruded Carbon Blocks), your system is covered for 2+ years with ultra-performance filtration. B) Water Quality TDS Monitor —Easy to use hand-held digital monitor to test and monitor your water quality in Total Dissolved Solids (TDS); it lets you know if the Ultra RO System is functioning properly.Don't miss this once-a-year chance to get America's best RO systems at the lowest prices ever!